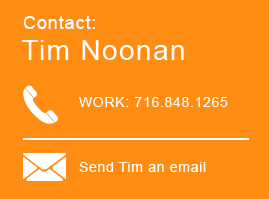 Noonan’s Notes Blog is written by a team of Hodgson Russ tax attorneys led by the blog’s namesake, Tim Noonan. Noonan’s Notes Blog regularly provides analysis of and commentary on developments in the world of New York and multistate tax law. Noonan's Notes Blog is a winner of CreditDonkey's Best Tax Blogs Award 2017. Last week the Tax Department published another advisory opinion on a “software as a service” issue, continuing the trend of rulings on software sales “in the cloud.” A few years ago, I wrote an article on sales tax issues in the cloud-computing context generally, and we have also covered New York cases where the issue has come up. In this most recent opinion, the taxpayer asked whether charges for its “video generating services” were subject to sales tax. And not surprisingly, the Department concluded that the sales were taxable, continuing its trend of taxing almost everything that moves in the cloud. The taxpayer is a California-based corporation with an office in New York City. They offer an online product that allows customers to turn their photos and videos into professional videos. Customers can turn photos and video clips into customized professional videos using a Web-based interface, then “video-generating software” hosted on taxpayer’s server will create the videos – and customers could download the video. Examples of this kind of thing can be found here and here. This was pre-written software because it wasn’t designed for any specific customer. Even though customers didn’t download or interact with the software, they had access to an online interface that gave them constructive possession over the software, because they could customize the video with music, text and other significant aspects that got automatically created. To me this has always been the more controversial aspect of these cloud-computing rulings. The Tax Department treats software as tangible personal property, even if delivered in an electronic form. So if it’s tangible property, shouldn’t the user get possession of it? And even if we say they “constructively” get possession, they are still possessing software that likely is located on a server somewhere outside New York. In any case, we’re still waiting for a court decision to tackle that question head-on. For now, we’re stuck with all these advisory opinions! Hodgson Russ attorneys facilitate the U.S. legal aspects of transactions around the world. We practice in every major area of law and use multidisciplinary work teams to serve the specific, often complex, needs of our clients, which include public and privately held businesses, governmental entities, nonprofit institutions, and individuals. Mismatch for Decoupling in New York: Trusts and Estates Not Covered!